Many teachers in regular classrooms feel unprepared to teach students with learning disabilities. Fortunately, brain research has confirmed that strategies benefiting learners with special challenges are suited for engaging and stimulating all learners. 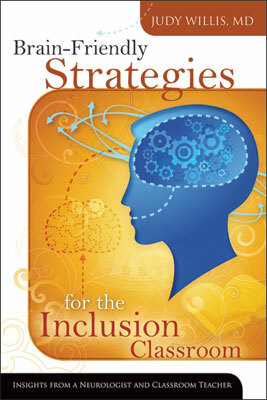 In this book, neurologist and classroom teacher Judy Willis explains that we can best help students by putting in place strategies, accommodations, and interventions that provide developmentally and academically appropriate challenges to suit the needs, gifts, and goals of each student. Understand how the brain learns and the technologies that reveal this process. Implement strategies that are compatible with students' individual learning styles and honor their multiple intelligences. Improve the focus of students with attention disorders and help them gain the confidence and skills they need to develop goal-oriented behaviors. Create an enriching learning environment by incorporating student-centered activities, discovery and hands-on learning experiences, cross-curricular learning, and multisensory lessons. Implement strategic review, study, and test-preparation strategies that will allow students to retain information and connect it with future learning. Build safe, supportive classroom communities and raise class awareness and empathy for students with learning disabilities. It's time for teachers to lower the barriers, not the bar. Using strategies that align with research on how people's brains function, teachers can engage all students as individuals and help them reach their maximum potential with joy and confidence. JUDY WILLIS is a board-certified neurologist and middle school teacher in Santa Barbara, California, and has combined her training in neuroscience and neuroimaging with her teacher education training and years of classroom experience. She has become an authority in the field of learning-centered brain research and classroom strategies derived from this research.